Prof. Jude Lubega briefs media about the UTAMU Agriculture Hackathon at the UTAMU head campus in Bugolobi on Monday 30th, July 2018. 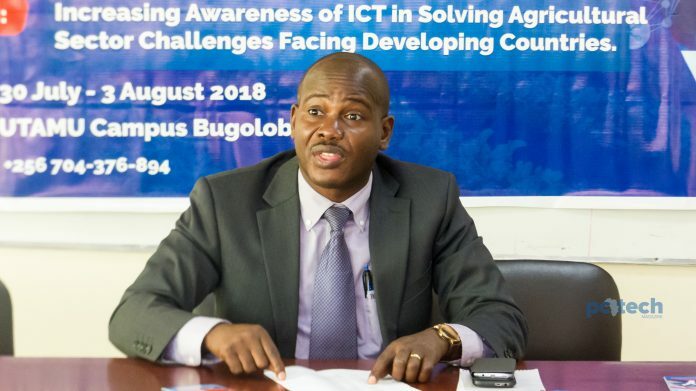 The Uganda Technology And Management University (UTAMU) has selected 35 students from different universities across the country to participate at its Agriculture Hackathon – funded by the Uganda Communication Commission (UCC). The selected students are given up to 5 days beginning 30th July to 3rd August to come up with ICT solutions that can help solve agricultural problems today – where the winning teams will be awarded at the UTAMU’s annual International Conference on Technology And Management (ICTM) event slated for 6th August, 2018 at Silver Springs Hotel. The award ceremonial will be graced by the Executive Director at UCC; Godfrey Mutabaazi said to be the guest of honor. Dr. Drake Mirembe, a lecture at UTAMU gave the participants hints on where they can start with coming up with solutions facing the Agricultural sector today. Some of the problems he mentioned included; limited access to imports, limited access to quality markets, limited access to financial services, records management, quality information, and management of pests and diseases. Dr. Drake Mirembe speaks to participating students for the UTAMU Agriculture hackathon at the UTAMU head campus in Bugolobi on Monday 30th, July 2018. Drake also emphasized, that students should look at the possibilities of mobile devices, analytics, Internet of Things, usage of GIS and Drones, while coming up with their solutions. Michael Niyitegeka, ICDL’s Africa Country Manager for Uganda, who was the guest speaker briefed the developers on creative thinking and idea generation. He asked developers to profile farmers to best understand the problems they are facing, and not simply thinking of a problem and come up with a solution without not knowing exactly what’s at the base. 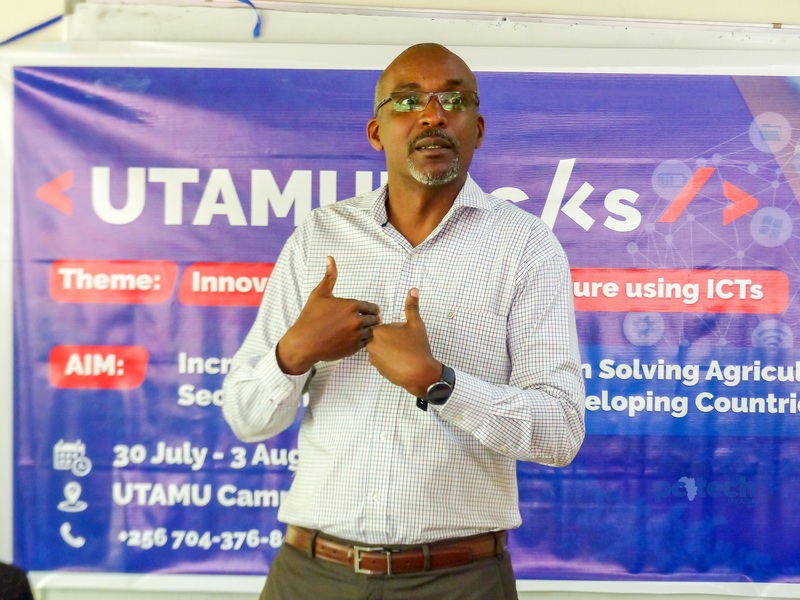 Michael Niyitegeka speaks to participating students for the UTAMU Agriculture hackathon at the UTAMU head campus in Bugolobi on Monday 30th, July 2018. “Step a way from the app, a way from developing, and first understand the addressable problem,” said Michael. When asked what kind of problems he (Michael) faces as a farmer, he pointed out 3 problems stating that those could be the same problem other farmers are facing. The 3 problems he pointed out were; Management of Information, Level of Digital Capabilities, and Transaction of cost of investment to returns. Among the participating universities are Uganda Technology And Management University, Makerere University, Makerere University Business School, Mbarara University of Science and Technology, Muni University, Gulu University, International University of East Africa, Kampala International University, Busitema University, Islamic University in Uganda, to mention a few. Prof. Jude Lubega; the Deputy Vice Chancellor of UTAMU, told the press that winners of this competition will be followed up. 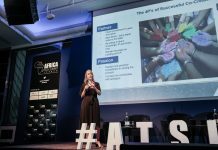 Noting that all winners will be assigned with mentors that will issue their projects don’t just stop at winning the prizes and wrapping it up. 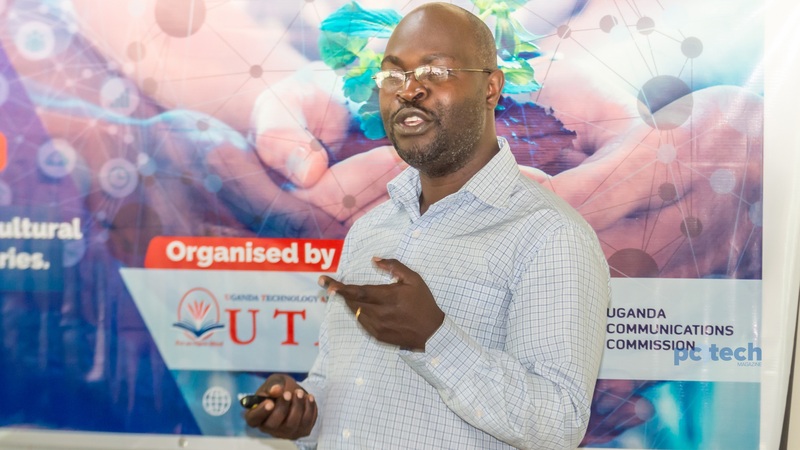 Notably, UTAMU’s ICTM event is a conference that provides a distinctive environment where authors, practitioners, researchers, professionals and academicians from the Technology and Management disciplines can engage in the future developments in terms of service provision.